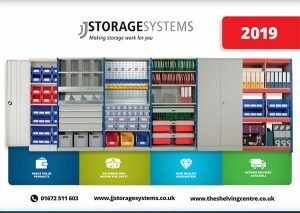 Buying shelving systems that are already constructed for you is more convenient; however, for those on a tight budget, it can be more cost effective to buy shelving that requires putting together. It can seem daunting if you have not put together shelving racks before, but the good news is that it is actually very simple and fast. CMC’s new and used longspan shelving systems can be delivered in one job lot, making the process quick and inexpensive. Once you have your shelves, you can start building them right away. The shelves we sell are Dexion branded and usually sized at a standard 2000mm high x 2000mm wide x 600mm deep, so these instructions will work for almost any of our shelving systems. The modular shelving units are designed to lock into each other without the need for bolts or tools. The unique design means pieces can be clipped and unclipped as needed, so you can change your whole storage system around easily as often as you need to. The shelves can be moved once built, so you can construct them in place or shift them after you are done. The finished product is strong and sturdy, with bars to support weight evenly across the system and tough feet holding the unit up. If you choose to secure it to the wall, choose a tough bracket and bolt that can withstand plenty of tugging. 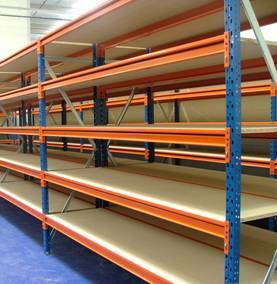 CMC are the people to call when you need longspan shelving in London to keep your warehouse organised. You can contact us today over the phone or through our website if you need more information – our advisers will be more than happy to help.